In this electrifying sequel to Angel Killer, magician-turned-FBI-agent Jessica Blackwood must channel her past to catch a killer consumed by a desire for revenge. When a church combusts in rural Appalachia, the bizarre trail of carnage suggests diabolical forces are at work. Charged with explaining the inexplicable, the FBI’s Dr. Ailes and Agent Knoll once again turn to the ace up their sleeve: Agent Jessica Blackwood, a former prodigy from a family dynasty of illusionists. After playing a pivotal role in the capture of the Warlock, a seemingly supernatural serial killer, Jessica can no longer ignore the world, and the skills, she left behind. Her talent and experience endow her with a knack for knowing when things are not always as they appear to be, and she soon realizes this explosion is just the first of many crimes. As the death toll mounts, Jessica discovers the victims share a troubling secret with far-reaching implications that stretch from the hills of West Virginia to cartel-corrupted Mexico to the hallowed halls of the Vatican. Everyone involved in what happened on that horrible night so long ago has tried to bury it—except for one person, who believes that the past can be hidden, but never forgiven. Can Jessica draw on her unique understanding of the power and potential of deception to thwart a murderer determined to avenge the past? 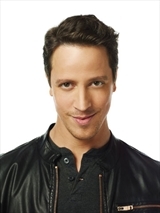 Andrew Mayne is the star of A&E’s magic reality show Don’t Trust Andrew Mayne, and has worked with David Copperfield, Penn & Teller, and David Blaine. He lives in Los Angeles. 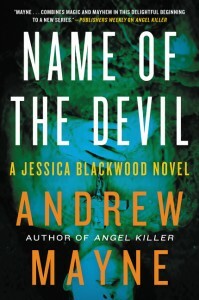 I never read the first Jessica Blackwood novel, and I really wish I had because after jumping into this series with the just-published second installment, Name of the Devil, I am hooked – HOOKED – on this series. First, I love Jessica herself, she’s the perfect mix of smart and spunky, and sensitive, and I like the way she overcomes her past by using it, rather then suppressing it. That she comes from a family of illusionists makes her more interesting, and also differentiates her from all the other female agents currently existing in modern fiction. I also really appreciate the way Jessica’s background, and the skills that were practically bred into her, aren’t just character enrichment, but are crucial to her job, and the plot. Second, the pacing: Wow! From the first paragraph the reader is in the middle of everything, and the pace is fast – at times I felt like an out-of-control rollercoaster – but then everything comes back long enough to catch a breath. Considering that there’s a decent amount of globehopping in this novel – Appalachia, Mexico, the Vatican – it makes sense that the pace must be quick. It works for this novel. 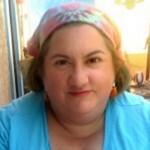 Third: Mayne’s prose: it’s upbeat an contemporary, but never feels too pithy for the subject matter. His dialogue is especially good, and his character descriptions are as detailed as only someone accustomed to discerning what is from what isn’t can be. Bottom line: this is a great read, perfect for a hot summer day’s worth of intrigue and escapism, and while I’m sure having read the first book in the series would have been helpful, I didn’t feel like my experience was terribly lacking because I began with book two. Goes well with mineral water with lime, and a Caprese salad.